Affordable Window Cleaning Company is family owned & operated and has been in business for over twenty years. 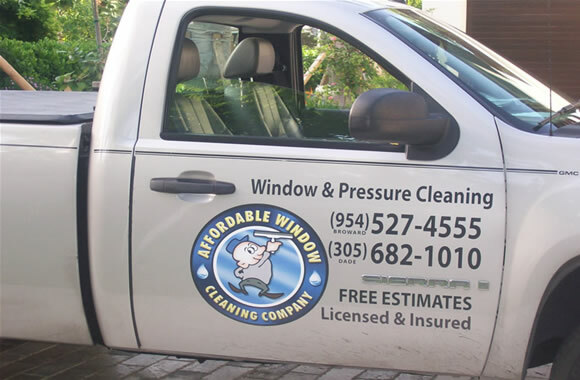 We are licensed and insured operating in Dade, Broward, and Palm Beach Counties. We specialize in residential & commercial window cleaning, as well as pressure washing and brick paver sealing. Our uniformed personnel will be at your home or office as scheduled, ready to meet and exceed your window cleaning needs. All of our services are backed with a 24 hour satisfaction guarantee. High quality control level assured by well trained personnel, close supervision, and frequent on-site inspections. A response to any inquires made by you, regarding concerns or additional service requested, provided in a timely manner. All OSHA safety regulations are followed to ensure the well being of personnel and property.